Having your landscaping serviced by Dan’s Tree Service Inc. can mean the difference between having to work around unsightly trees and having them removed. 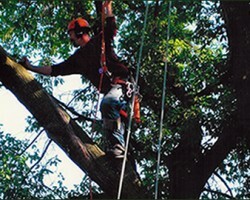 This company has been offering tree service in Milwaukee, WI for over 25 years. In the time this team has been working, they have developed their skills, techniques and equipment to be the most extensive in Wisconsin. A huge number of residents turn to this company when they need help because they also offer free estimates for all potential projects. The best tree cutting and removal companies are the ones that employ the safest practices and also maintain the most affordable prices too. Forester Tree Service is known for all of these things and so much more. 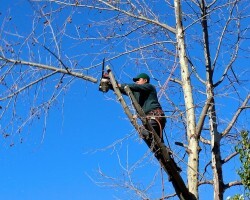 This service is there to care for the trees that need maintenance and remove the ones that are dead and dangerous. 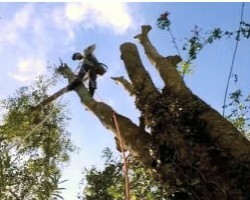 As a local tree trimming service, the technicians at this company are also able to shape and cut the branches of trees to enhance the appearance of the tree. 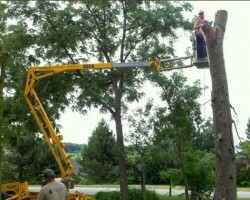 MK Tree Service is not just a Milwaukee tree removal company, as they do it all. This includes educating clients and potential clients about how they work and the circumstances surrounding specific tree care solution. For example, if a tree is dead or dying, creates a fire safety concern or is crowding other trees then the best solution would be removal. If it is simply unshapely then these tree pruning contractors can take care of that problem too without having to unearth the tree at all. Whether a tree has fallen down on your property or you are afraid that one might, the experts at Schmidt’s Tree Service are there at any hour of the day or night to help. For commercial and residential landscaping, tree maintenance and removal, this team has the most experienced technicians in the business. For cheap rates you can work with a team that is focused on two things only: customer satisfaction and safety. The results will always reflect these two goals, which are raved about in the reviews of the service. The most appealing aspects of Burns Tree & Landscaping is that the company is completely insured, they offer free estimates and have over 30 years of experience. Whether you have a plan of action in mind for the landscape or would like this professional team to take the lead, their goal is to leave you completely satisfied with the final results. 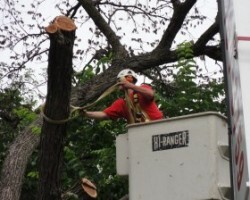 While other tree care companies simply remove any problem trees, this company carefully determines which course of action is best for the safety of the property.